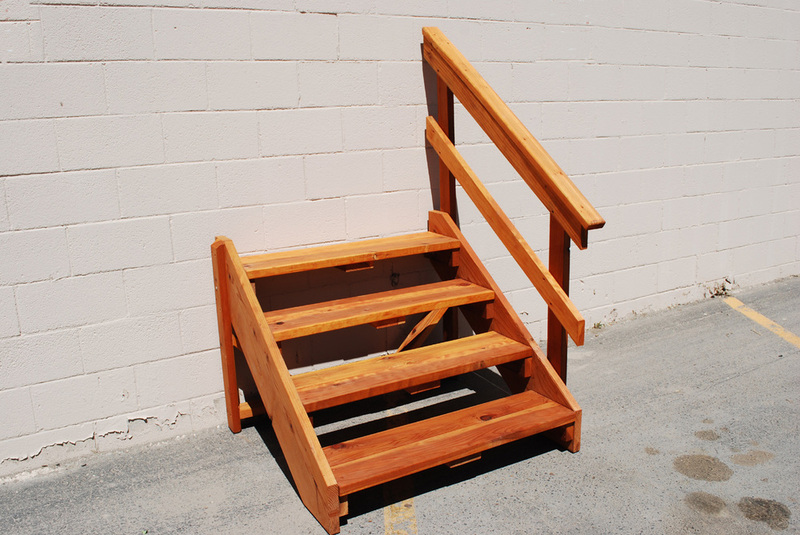 We offer a variety of configurable, prebuilt decks, spa steps and free standing stairs. There are a variety of options for these products according to your design requirements. 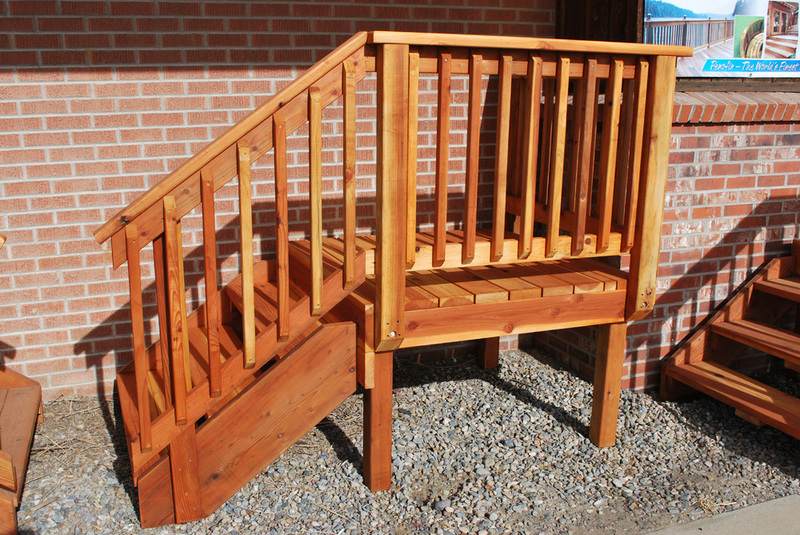 With strength and durability in mind, our prebuilt decks, spa steps and free standing stairs are built to last. The sub-structures are built with 4" x 4" and 2" x 6" redwood. The prebuilt decks are available in sizes ranging from 4' x 4' to 8' x 10' and can be ordered in varying heights, with or without steps, as well as with or without handrails. The free standing stairs can be ordered according to a specific height and with or without handrails. 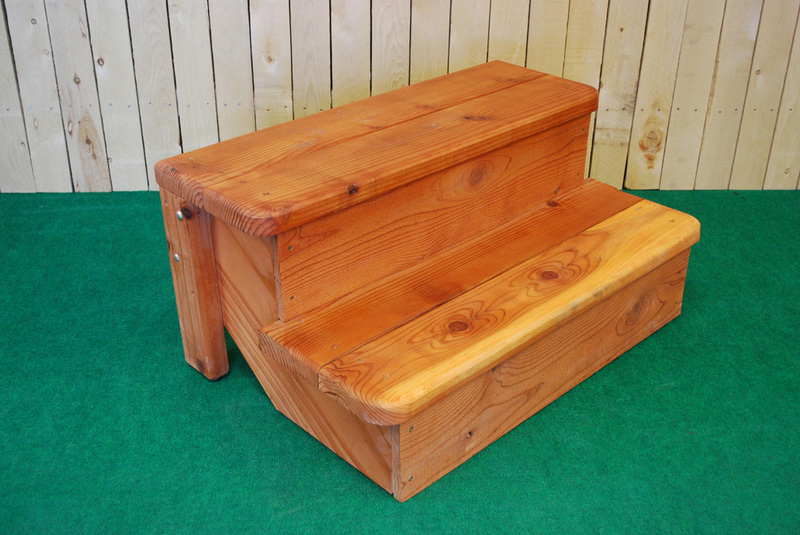 The spa steps can be used for any purpose, not only spas, and are built with 1, 2 or 3 steps. Please comply with local building codes when using all these products. Our furniture is designed and hand built at our store in Northern New Mexico. Beautiful, functional and durable, the decks, spa steps and free standing stairs are assembled with zinc coated screws for strength and durability. Due to their size, decks and stairs are In-Store products. 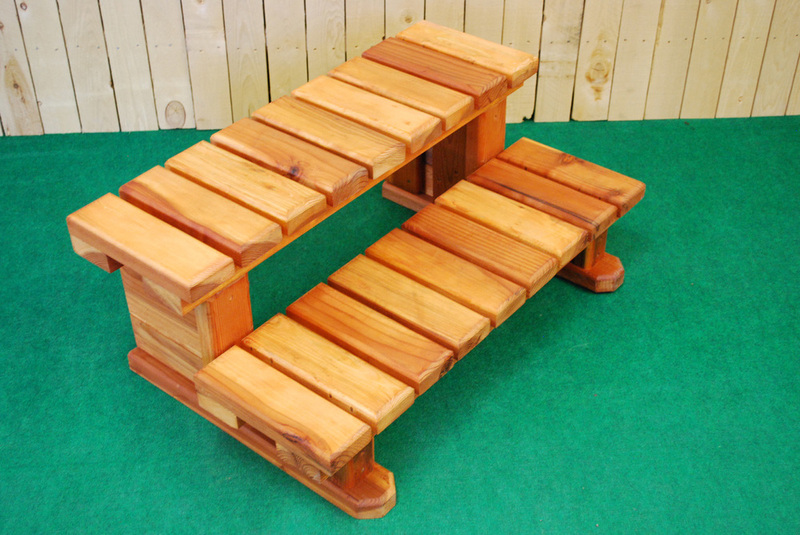 Spa steps can be shipped within the continental USA.